You’ve worked hard to buy your house, so it’s only fitting that it deserves the very best when it comes to décor and presentation. 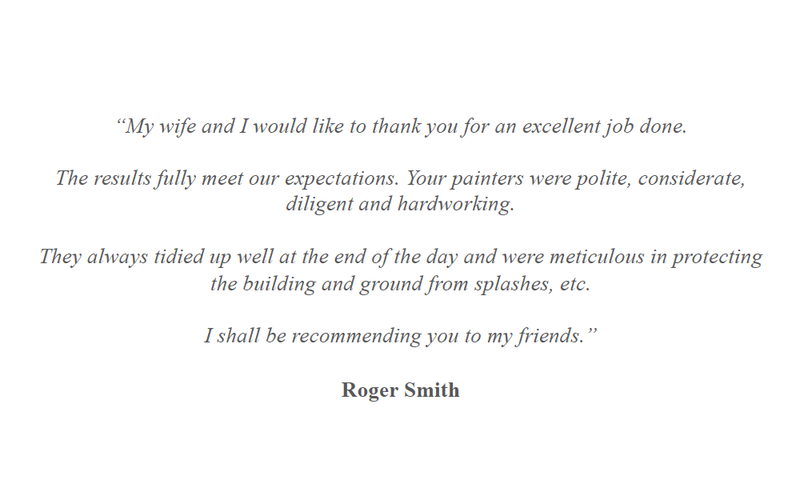 Since 1972, Hodgson’s Decorators have been entrusted to carry out external and internal painting and decorating for hundreds of local residents. And because our workmanship stands up to the scrutiny of even the most demanding of customers, we have built our reputation and company on repeat business and personal recommendations.